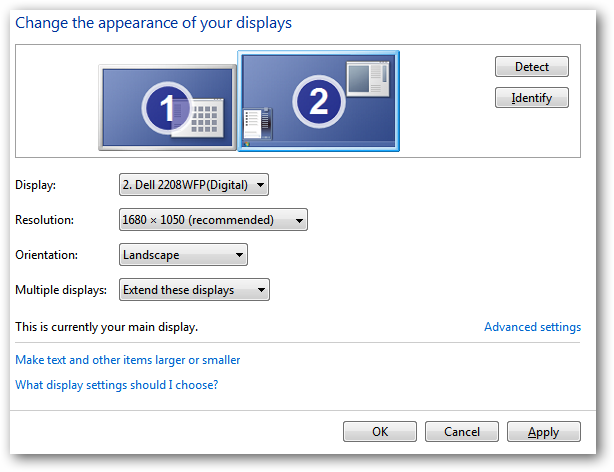 If you have a dual monitor setup and each monitor is a different size or height, it can be annoying trying to move the mouse pointer between them. Here is a quick tip that will help make the process easier. In our example, we’re using Windows 7, but the process is essentially the same in all versions, but getting to Display Settings is different. 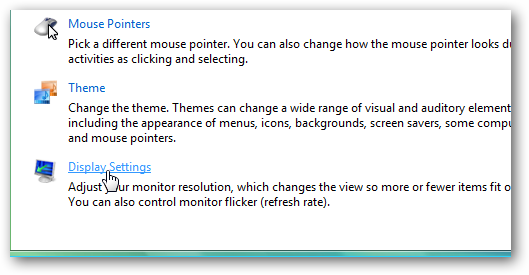 In Windows 7 open the Start menu and type display settings into the search box and hit Enter. In Vista right-click the desktop and click Personalize. Then from the Personalize appearance and sounds menu click on Display Settings. In XP right-click on the desktop and select Properties then in Display Properties click the Settings tab. 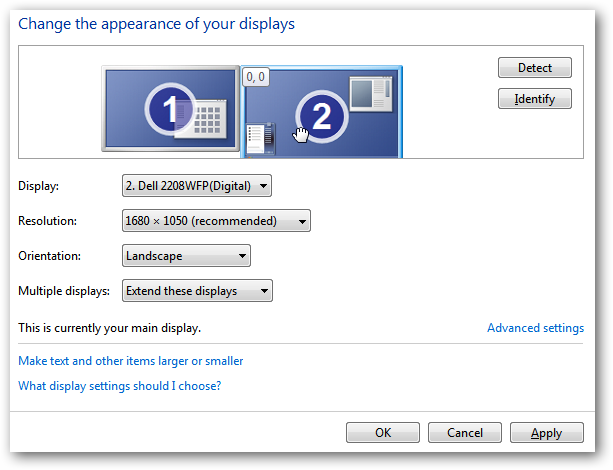 Now here is where you can change the appearance of your monitors. 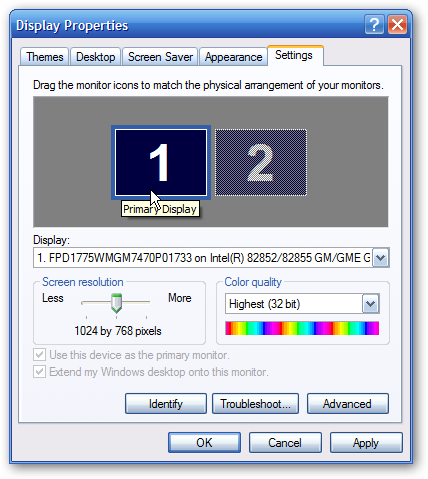 In this example we have a larger 22” LCD and a smaller 19” and it can be annoying getting the mouse pointer from one to another depending where you are on each monitor. So what you want to do is simply move each display around to a particular height so it’s easier to get the pointer over. For example with this setting we know we’ll have no problem moving the pointer to the other screen at the top of each display. 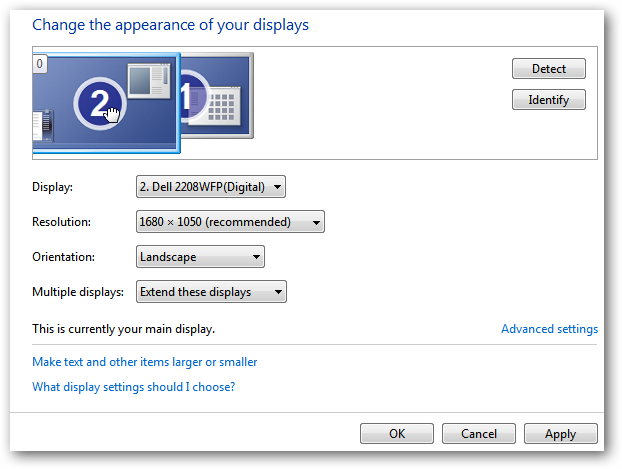 Of course here you can flip your monitors around, change the display resolution, orientation, etc. If you have dual monitors where one might be larger or set up higher than the other, then this is a great way to get them finely tuned. You will have to play around with the settings a bit to settle on what works best for you.